“New Year, New You” is a popular phrase used around this time of year. 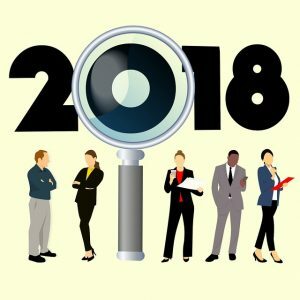 While we agree that it’s great to have personal goals in each new year, we also like to think of the new year as a time to evaluate professional and career goals as well! 2018 could be a fresh start for you on the road to a new job, and PHR is here and waiting to help make that happen. New work experience. If you did any temporary work over the holiday season, you need to update your resume with the employer’s name and contact information, the dates during which you worked, and perhaps a brief explanation of your duties, position, etc. This is valuable information for a potential employer and/or HR staff. New address. The end of the year means some people are changing their place of residence due to a lease ending, or a desire for a change of pace. If your address has changed since you last updated your resume, you’ll need to take care of this quickly. New contact information. Much like the address, phone numbers and contact information can change over the holiday season due to new phones, new computers, etc. being purchased and/or given as gifts. If the information on your current resume is no longer applicable, you’ll want to make sure that’s updated ASAP since that’s how you’ll be in touch with various interviewers and/or employers. If you are ready to make 2018 your best year yet, PHR Staffing Solutions is ready to make it happen. We are here to walk you through the employment process, from job hunting and applications, to interviewing and landing the job. We do the hard work for you, so you can enjoy the benefits. Give us a call or look at our current open positions here on our site. You can apply directly from the job posting, so why wait?